Today, we’re looking at Life. This article is based on the data I’ve collected in November and December of 2017. I collected screenshots of the pets of a total on 307 overlords. However, when divided per school, the data is too limited to draw wide conclusions about the subject.For Life, I have a total of 35 overlords. Where the data isn’t complete, I will add my own pet suggestions. Just like pretty much every other schools besides Storm, Life has the Enchanted Armament in the top three. I ran into eight Life overlords with this pet. Among those eight were one Magus, four Grandmasters, two Legendaries and one Champion. 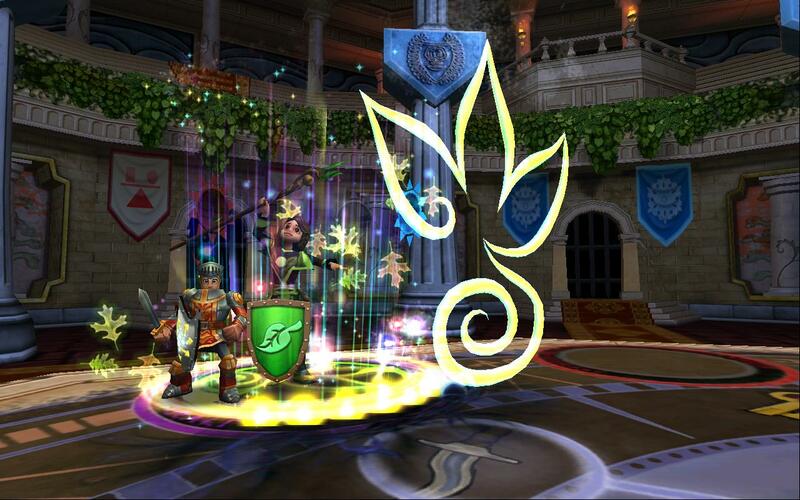 Why is an Enchanted Armament a Good Pet for Life? Lifes like to bladestack, which this pets helps with. This pet is great if you like setting up for a big attack and killing your opponent in one hit. If damage is what you’re after, this pet is useful for you. Now then, we take a jump to third place. 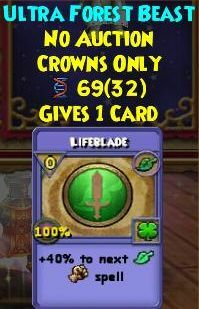 While the Clockwork Paladin is the second most popular pet used by Life overlords, it’s a Balance pet. Many Lifes are employing a Balance mastery strategy. However, we’re looking at Life pets in this article, so we go straight to the next Life pet in the list: the Brown Spider. I found two Life overlords with this pet. Both pets were damage pets with zero wards, owned by a Legendary and an Exalted Life overlord. Why is the Brown Spider a Good Pet for Life? 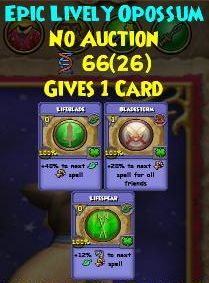 This pet only comes with one card, which makes it less ideal than the Red Ghost pet Death has to work with. Since Life doesn’t train a damage bubble spell, this is one of the few options Life has to change the bubble. 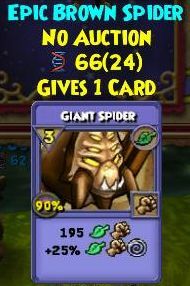 The Giant Spider card does a little damage and change the bubble to a Life damage bubble. It can be used to break a set shield. One Kookaburra was spotted during my data collecting period. It was a full damage pet with a Legendary Life owner. Why is the Kookaburra a Good Pet for Life? This pet comes with a Lifeblade, which is useful to Lifes of all shapes and sizes. 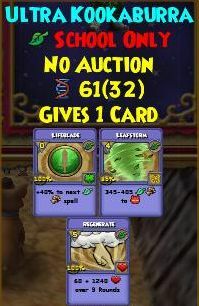 Its second card is a Leafstorm, which functions as the 4 pip AoE Life is lacking. Its damage is on the low side, but this is still a good spell to kill minions with, I suppose. Of course you would lose all your blades using it, so it’s a little situational. The third card is a Regenerate, which can be a handy heal when needed. One lonely Life was using a Dryad as a pet. This overlord was a Transcendent. Honestly I think he just got lazy and didn’t bother updating his pet for the current meta. However! I do think this is a good pet for Life, so I’m giving it a place in this article. 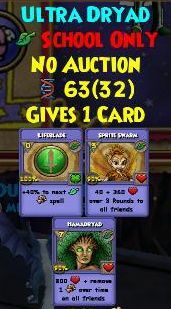 Why is the Dryad a Good Pet for Life? The Dryad is a great pet for Lifes of any kind, especially those who do team PvP. (Does anyone still do team PvP?) It has one offensive card: a Lifeblade. In addition, it has a Sprite Swarm item card, which is like a Sprite for the whole team, as well as a Hamadryad, which heals all team members and removes an over-time tick from everyone. These are situational cards, but still nice! The same could be said for the Courageous Bull, which comes with the same cards apart from the Sprite Swarm, which is replaced with a Smoke Screen item card. The Forest Beast makes a single appearance in the data. It was a pet with damage and critical talents carried by a transcendent Life overlord. Nobody had a Life Wartle, but it’s basically the same as the Forest Beast with a single Lifeblade. Why is the Forest Beast a Good Pet for Life? There are several other pets that have the same Lifeblade the Forest Beast has, but with other cards in addition to the blade. However, if none of those cards interest you, you might just go with the Forest Beast. It’s a cute pet and the blade is useful for all Lifes. The Life wartle is even cuter, but certainly harder to get your hands on. We’ve come to the honorable mentions, aka the pets that I personally think could be interesting, but which I didn’t find while collecting data in the Arena. Why is the Lifedactyl a Good Pet for Life? Especially at lower levels, the Gargantuan item card can be valuable. It also has a Lifeblade, which any Life is happy to have, and a Life Scarab, which might come in handy to break set shields. Nobody I ran into used this pet. 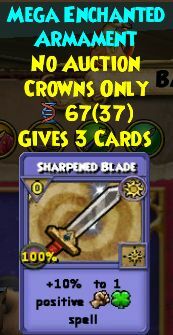 I’m not saying this pet is better than an Enchanted Armament, but if you want to look more original and get a couple of blades, then this is a good option! Why is the Lively Opossum a Good Pet for Life? It comes with a Lifeblade, just like most of the other pets on this list. In addition, it has a Bladestorm and a Lifespear card. Not bad! A Spirit Blade would perhaps be better. Life has fairly limited options as far as I can see. Maybe that explains the large amount of non-life pets among Life overlords. Check the list at the top of this page for a list of all the pets used! Do you know of another good Life pet?